This is in no way inspired by my actual table which is only 4 years old. If you give a Mom a dustrag, she’s going to want to clean the windows. When she cleans the windows, the sun is going to shine on the table. Mom will see that the table needs a good going over. She might get carried away, and decide to clean the whole table. When she’s under the table, she’s going to see the stickers you put there. While she’s peeling off the stickers, she’s going to notice that the finish on the table is a little worn. She’ll want to refinish the table, so she’ll need to go to the store. While Mom is at the store, she’ll buy a refinishing kit, a gallon of milk, something for dinner, and some cookies. 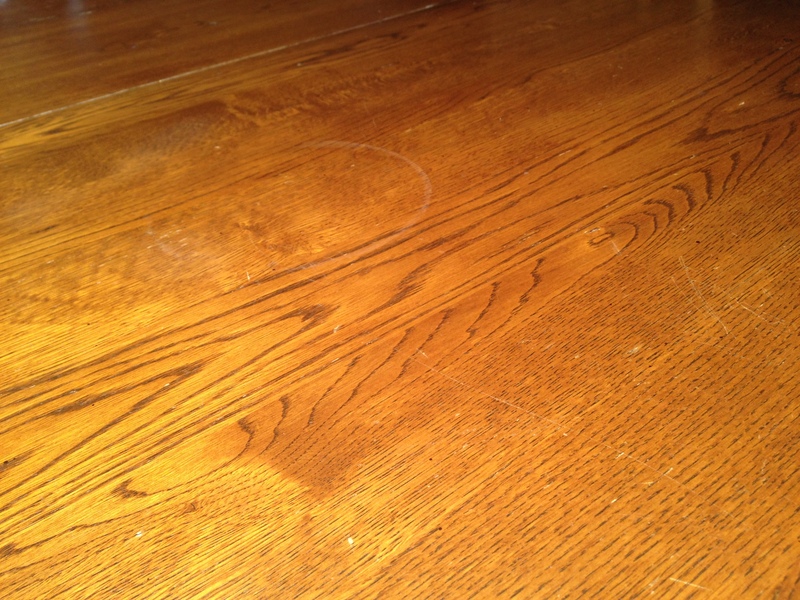 When Mom gets home, she’s going to refinish the table. The table will look so good, Mom will want to redecorate the whole house! By this time, you will be hungry. You will whine to Mom that you need a snack. Mom will give you a cookie and some milk. If Mom gives you some milk and a cookie, you will sit at the newly refinished table to eat it. Chances are…you will spill your milk all over the &^*% place, and Mom will need to find her dustrag.